Play is an open source Java based web application development framework. The framework has been written in Scala with a Java wrapper API. 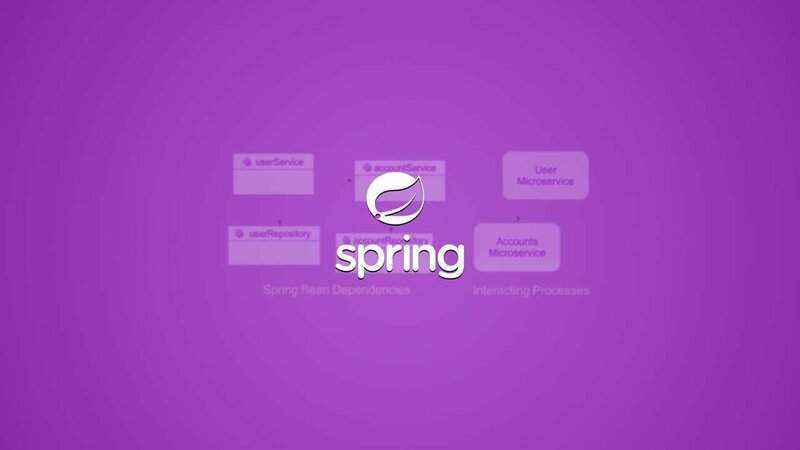 It follows the MVC (Model-View-Controller) architectural model and RESTful architecture. The main focus of Play framework is to increase productivity and support agile development methodology. The main differentiators of the Play framework are rapid application development, hot code reloading and browser based error display. 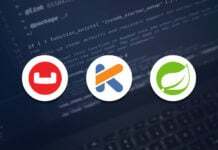 Play framework based web applications can be written in both Scala and Java languages. Play applications can also be packaged as WAR file for distributed deployment in application servers. So, Play can also be considered as a clean alternative to Java EE development stack. 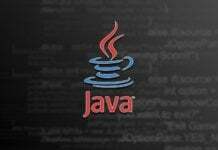 As Play is a Java framework, all Java development tools can be used as it is. So, anybody using the Java development platform, can use it without switching to other IDE or languages or libraries. Play just helps developers switch to more productive Java development environment. Let us check how Play is different from Java environment. Stateless and RESTful architecture: It follows the stateless MVC architecture, which is also known as ‘share nothing’ model. Play is RESTful and modular. Integrated testing environment: Selenium and JUnit comes as a part of the core Play framework. So, the testing environment can be used easily without any integration effort. It supports test driven development (TDD). 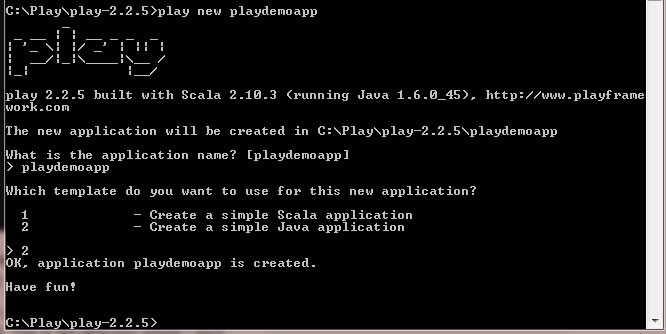 Scala support: Play 2 has in-built support for Scala. Although, it has API support for Java also. 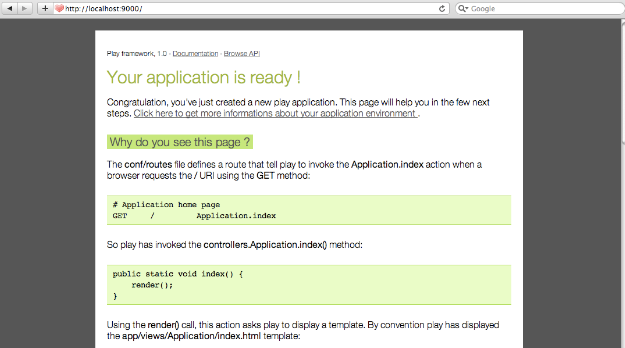 Apart from the above points, Play also supports JPA, template engine, HTTP to code mapping, etc. for efficient web application development. After this, add the path (here c:\Play) to the system class path. It will help us use the Play commands from any location on the command prompt. 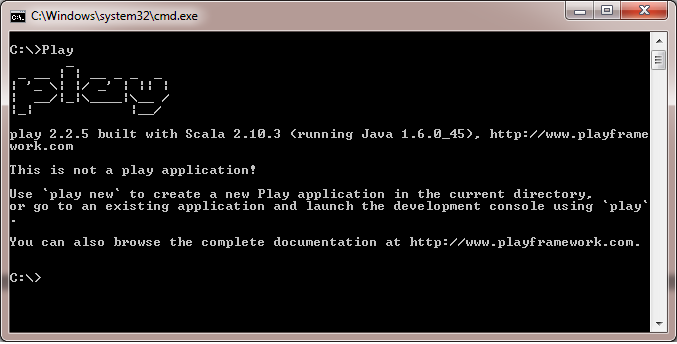 The following screen shot will show the installation once ‘Play’ is typed on the command prompt. In this section, we will create a project using the Play framework. Following, are the steps to be followed. This will result in successfully creating the application as shown below. The following directory structure will be created after successful creation of the application. This screen shot shows that the server is running successfully. Play framework is based on a light weight, MVC, stateless architectural model. It provides ease of development with minimum resource consumption. Play application can be developed by using Scala or Java technology. 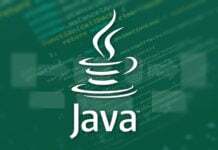 So, Java developers find it more useful while shifting to more productive development environment. And the best part is, without throwing away the existing Java resources. Play is going to get more popularity in near future. This article will give pointers to start development with hands on coding. Developers can follow the instructions and implement it easily. Great Explaination for beginner . Thanks a lot.